I’ll write it up later, but the first thing I always think about with this card is: Herne. Powerful, mysterious, commanding, wilful, controlling, manipulative, kind, energizing… I could go on and list more attributes I associate with Herne, but I need not. To most, he is The Magician. Usually, when I hear the word “Magician” someone I dislike appears in my head. Yet, with The Green Man, this does not happen. 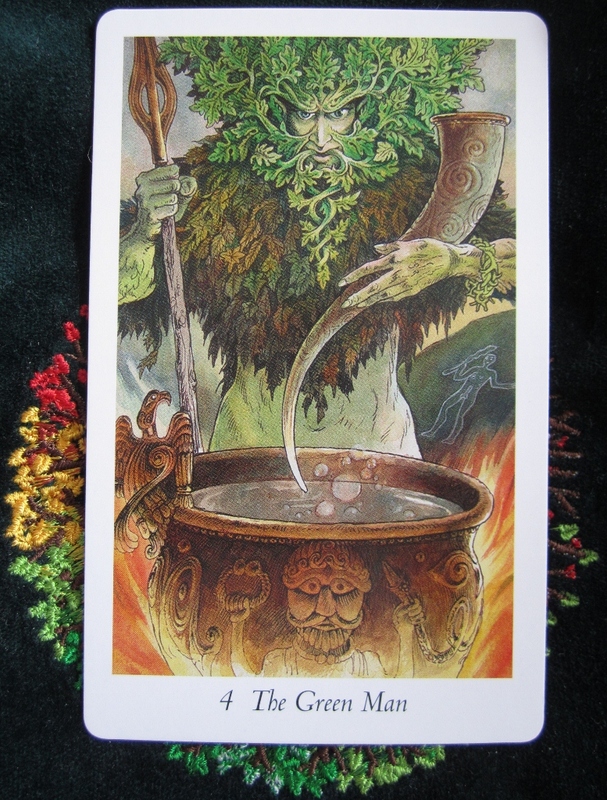 The correlation between The Magician and The Green Man is not set in stone and for this, I am grateful.